Fiber Flux: I've been featured in December's I Like Crochet Magazine! I've been featured in December's I Like Crochet Magazine! In case you haven't checked it out, it is full of pretty patterns, informative articles, and helpful tutorials. 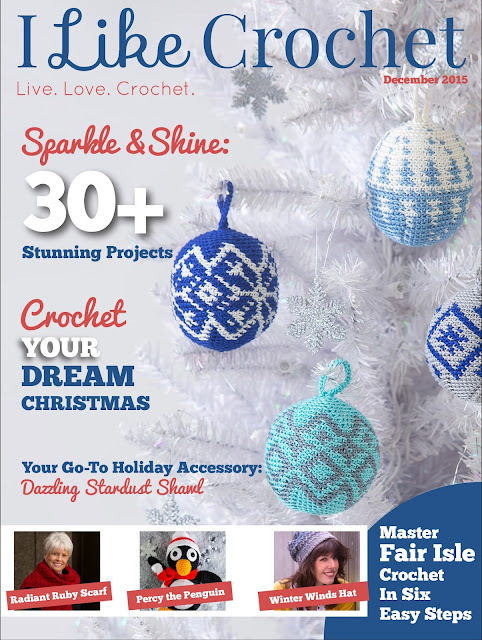 Subscribe today to receive the latest issue of I Like Crochet on your iPad or your Desktop. · Sparkle and shine with 30+ stunning projects. 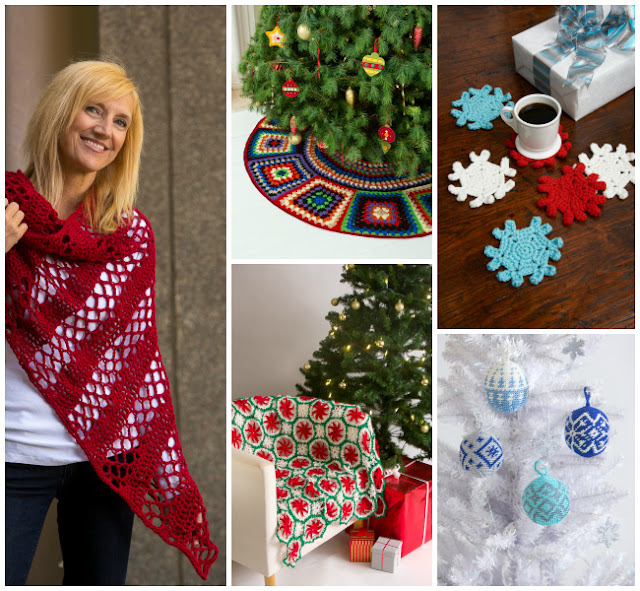 · Crochet your dream Christmas. · Make your new go-to holiday accessory, the Dazzling Stardust Shawl. · Master Fair Isle crochet in six easy steps. Subscribe today makes a wonderful gift for crocheters! Note: This post contains affiliate links which help keep the free crochet patterns coming to all of the fabulous Fiber Flux readers. All opinions are 100% my own. Congratulations! That is a great pattern that you have featured.